Upon your arrival in Dimapur, get treated to a warm welcome by our representative. Thereafter, get an assisted transfer to your camp in Kohima, Nagaland. As you reach your camp the exquisite surroundings and the incredible ambience will mesmerize you. 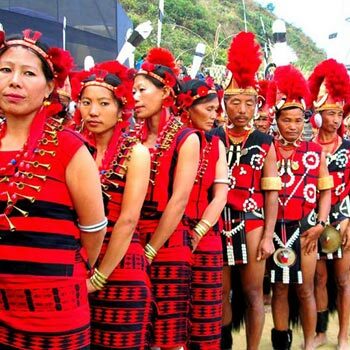 Adding further to your amazing experience, you will be welcomed in the traditional style by the exotic Naga tribes. Proceed thereafter to your wonderfully luxurious tent, accompanied by the representative where check in formalities will be performed by the Guest Relations Hostess. You have the evening free at your leisure. Savor the quietness pervaded around you and feast your eyes to the striking natural wealth that lay bare within your surroundings. Relish your drink sitting by the camp fire and please your taste buds to the delectable dinner prepared by the expert chefs. Overnight Stay at your camp in Kohima. Start your day with the thought of participating in one of the most exotic festivals in India. Post breakfast, proceed towards Kisama Village by road. With this amazing festival already underway, you will soon find the energy seeping through your body. The wonderful exhibition of cultures, traditions, customs, handicrafts, paintings, folk music, dance, attires of the people and participants will surely leave you captivated. If that's not all, get ready to pump your adrenalin with motor rally, wresting, archery and greased bamboo pole climbing. Chili eating festival and literary fest also keep you interested and entertained as well. 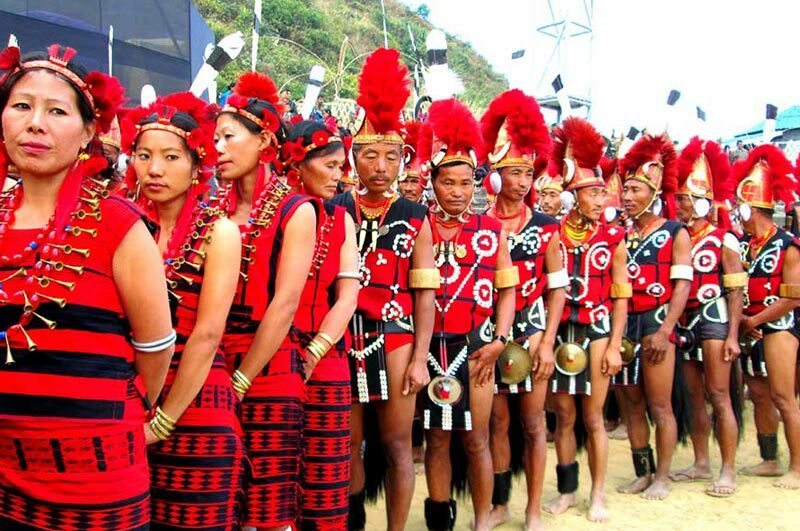 After treating yourself with mouth-watering Naga cuisines, prepared by expert chefs, you have the option of getting back to the Hornbill festivities in the capital city of Kohima. You can relish in the night shopping, picking local items as souvenirs or enjoy your senses pleased to the musical performances by talented Naga artists. Another attraction of the festival is Miss Nagaland Contest which brings in a lot of joy and amusement for the travelers and locals alike. Return to the comfortable settings of your camp where a sumptuous meal awaits you. Rest for the overnight stay. After a thoroughly exciting trip, it's time to say goodbyes to the breathtaking land of Nagas. After breakfast, get an assisted transfer by our representative to the Dimapur airport for your journey onwards.